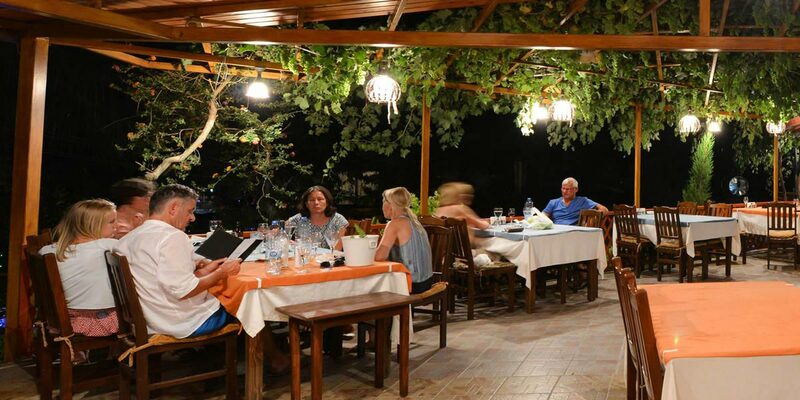 St. Nicholas Restaurant is the most popular restaurant in Patara with its great location, delicious food and excellent service. 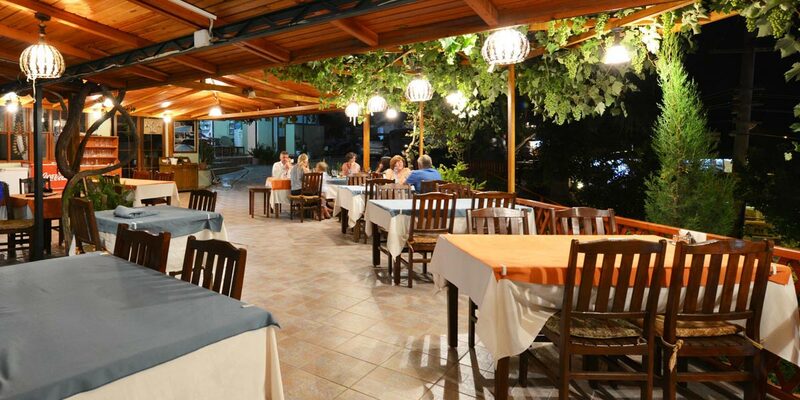 It is run by our family to serve great Turkish foods to our guests in a warm atmosphere since 1990. 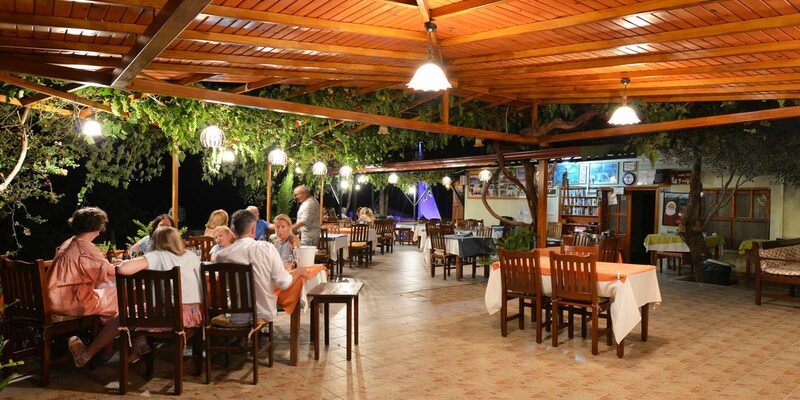 Our Restaurant has an attactive terrace sheltered with wine trees. It is inviting terrace which overlooks Patara village and always exposed to cooling mediterranean breeze in summer days. Wine trees sheltering the terrace are intriguing since they are older than 20 years and full of grapes to be served. 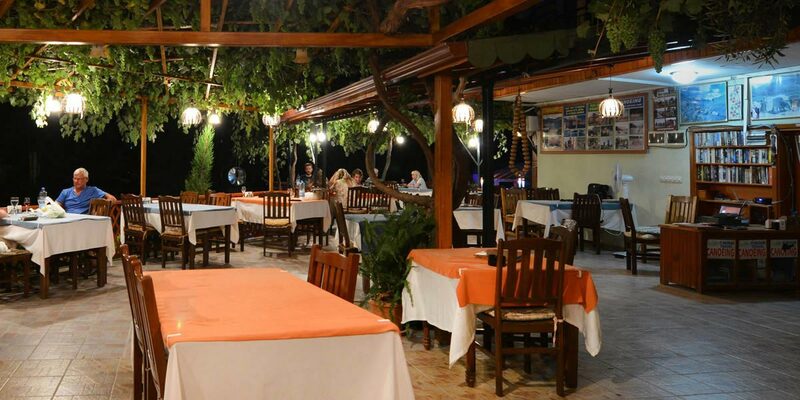 Our menu is contains variety of traditional Turkish food which is cooked attentively as at a Turkish house. Our special, which is casserole, is cooked with original ceramic pot with special recipe. Besides, many delicious turkish food, we also serve foods from different cuisines with world-class quality. We make all our food from local products which are healtier and more delicious. Moreover, Most of the fruits and vegetables like tomatoes, cucumbers, peppers, aubergines, olives, grapes and melons are produced in our own garden. Stuffed vegetables, green beans, cheese rolls, saksuka, haydari, grilled mushrooms etc. Selection of various turkish mezes. Plate for 2.